For as much drama as HBO's 'The Newsroom' creates around Jeff Daniels' Will McAvoy and his supporting players, it's easy to forget that the show roots itself in real-life news events by keeping a timeline several months behind our own. Previously, we'd heard of a few guest stars joining the second season of HBO's buzzy Aaron Sorkin drama, but the latest confirms that former Presidential candidate Mitt Romney will play a large role in season 2! So, are you ready to meet our new recurring cast member, a link to the famous one-percenter? Don't expect Mitt Romney himself to make any appearances in 'The Newsroom's second season, but his staff will certainly be getting plenty of face-time. The Hollywood Reporter has announced that relative newcomer Joel Johnstone will take a recurring role in the second season, that of "well-scrubbed" Mitt Romney campaign staffer Cameron. Taking place in New Hampshire, many of Johnstone's scenes will be shared with new cast member Grace Gummer, daughter to Meryl Streep and playing embedded reporter Hallie Shea. Elsewhere, 'The Newsroom' season 2 has tapped comedian Patton Oswalt and Rosemarie DeWitt, playing fictional network ACN’s new VP of Human Resources, and a litigator defending ACN against a wrongful-termination suit, respectively. The second cycle of ‘The Newsroom’ has begun filming already, for a likely summer 2013 debut, but what say you? Do you think 'The Newsroom' season 2 will go in-depth with the Romney campaign, or have a different focus? Give us your predictions in the comments! 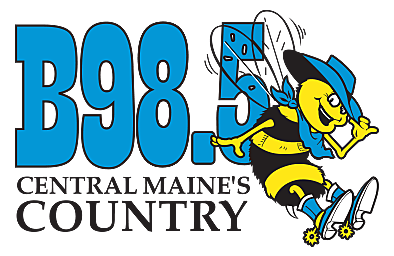 2019 B98.5 is part of the Taste Of Country Network, Townsquare Media, Inc. All rights reserved.